We have great pleasure in announcing that Mr Philip Rowe is our latest Privilege Club member to be picked at random to win £250 to spend in. 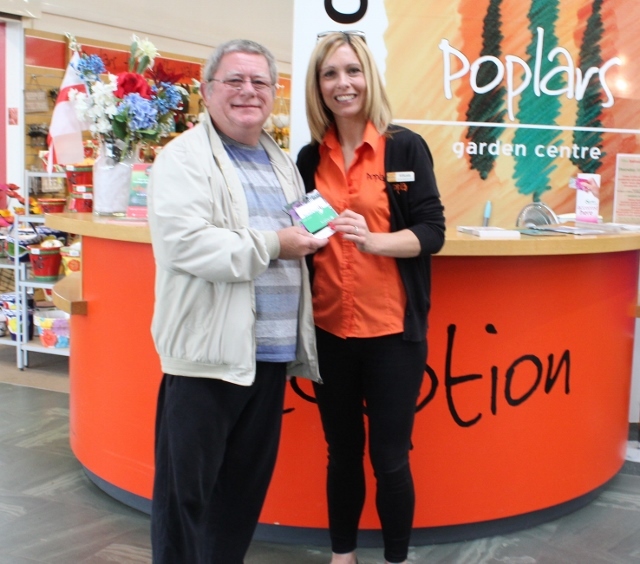 Philip came in with his mum to collect his £250 and had already been eyeing up the benches and water features but hadn’t made his mind up which one to go for! But he did treat his lovely mum to a nice cuppa in the Restaurant@Poplars after kindly posing for a photo. That’s how easy it is to win! Just like you, Philip is one of our Privilege Club members so next time, it really could be you! If you know someone who enjoys a bargain, who likes keeping up to date with the latest news and events and who would love a chance to win £250 to spend in store, then get them to sign up on line or in store today!